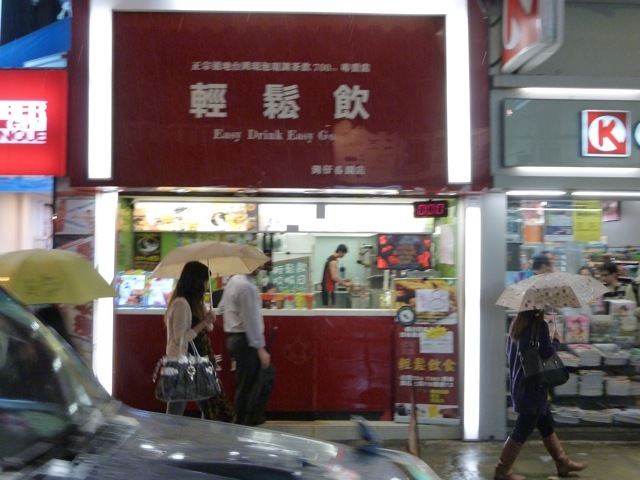 Well, after years of drinking tea with boba, I’ve come to learn that Hong Kong claims to be the birthplace of milk tea, which is basically the tea you drink with boba. Now, I’m not really sure how milk tea differs from the old English tea with cream and sugar, but there’s some whole story about straining it through pantyhose for some reason – anyway, they claim it. And there are quite a few shops around town that serve it. 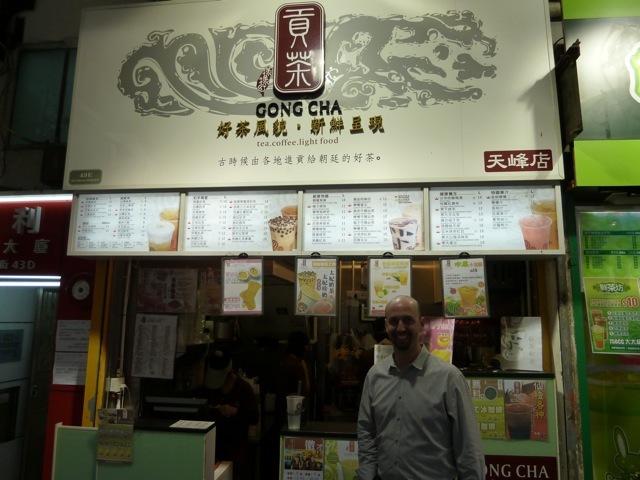 We tried one in Mong Kok in Kowloon called Gong Cha where I got a crazy version with this strange thick frothy sweet milk on top that you sample first, then mix in to the rest of the drink. It was definitely unusual, so it was interesting, but I’m not sure it was my cup of tea. Next we got into the witty-names place. We went to Easy Drink, Easy Go. Yes, that’s Eric there behind the umbrella. Sometimes I really have a way with the camera. This did go easy – into the trash. We both got citron (or citon) and it was pretty nasty – sweet rind bits amid the boba. Essentially, undrinkable. Finally, we got to ComeBuy. Blatant. 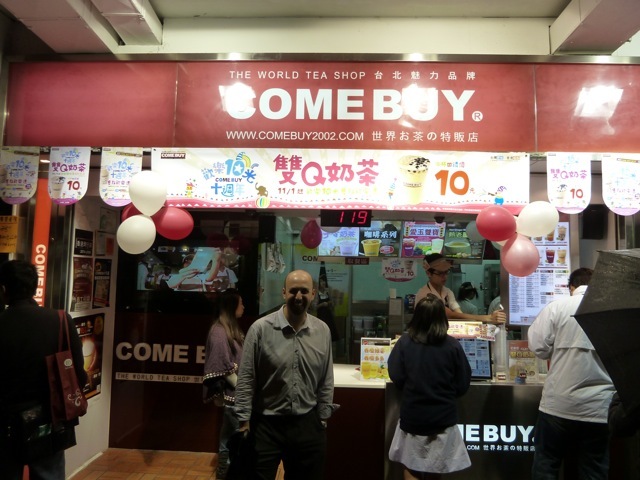 And that was the best one – straight up sweet milky tea, with boba.